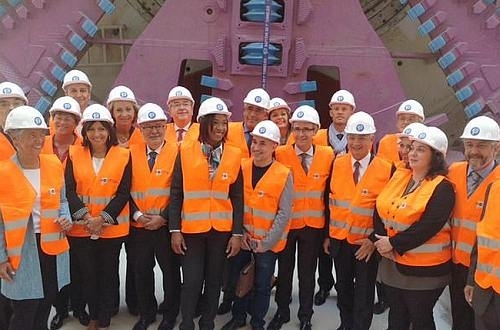 Tunnelling was officially launched on the 5.8km northern extension of Paris metro Line 14 from St Lazare to Mairie de Saint Ouen on September 9, when the project’s first tunnel boring machine was christened Magaly. The ceremony was attended by French transport minister Mr Alain Vidalies, the mayor of Paris Mrs Anne Hidalgo, president of Ile-de-France regional council Mr Jean-Paul Huchon, and Paris Transport Authority (RATP) president Mrs Elisabeth Borne. The extension will relieve the heavily congested section of Line 13 north of St Lazare and has a design capacity of 40,000 passengers per hour. 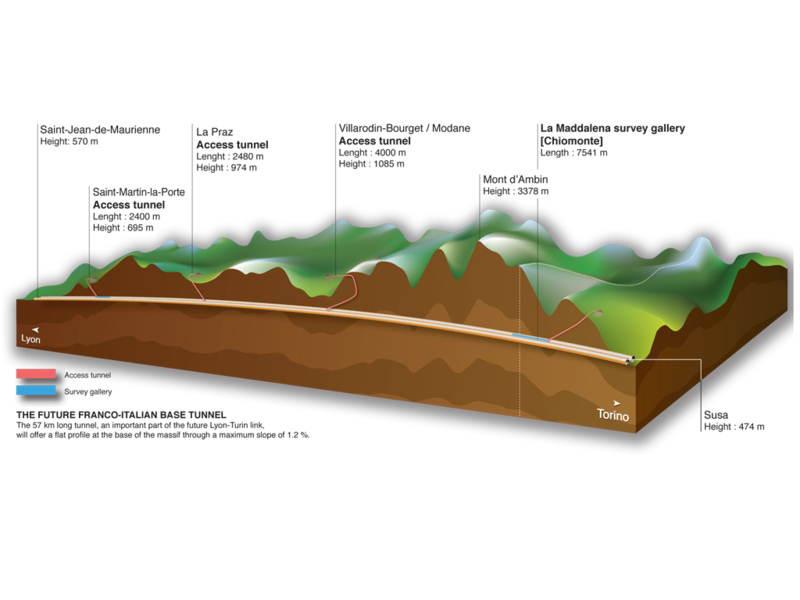 It will interchange with RER Line C, Transilien (suburban) Line L, and light rail Line T3b. The €1.38bn project includes the construction of four new stations, Pont Cardinet, Porte de Clichy, Clichy Saint Ouen RER, and Mairie de Saint Ouen. Line 14 will ultimately become part of the Grand Paris express metro network and two further new sections are planned which will increase the total length of the line to 30km, extending it north to St Denis Pleyel and south to Orly Airport via Villejuif.